Description: This article is a review of the Sony MDR-ZX100. 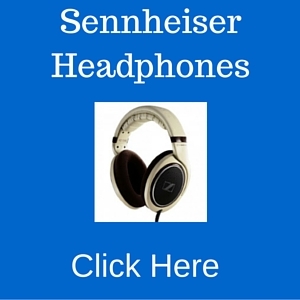 Learn all about this headphone here. Shopping for headphones isn’t as easy as it sounds because while you don’t want to spend a fortune, good quality is still essential. One of the better options in terms of quality and price is the Sony MDR-ZX100, which provides very good audio at a price that won’t hurt your budget. It’s a very popular product and as the following information will show you, there are many reasons why this is so. What are the Main Features of the Sony MDR-ZX100? The headphone has a slim folding design that makes it very convenient to use. Style wise this Sony headphone holds up well and it doesn’t look cheap at all. It’s available in red, black, blue, white, pink and gray so you have a lot of options, and the shades aren’t loud. Finally, the glossy finish adds a touch of class to it. This headphone feels pretty solid and doesn’t look or seem flimsy. Based on customer feedback, the headphone is durable too, and the overall look is modern and shapely. It doesn’t have the swivel cups present in other Sony headphones but the design allows for outward rotation and flattening, very handy if you’re putting this in a backpack or bag. Of course what it all comes down to is the sound quality, and this Sony headphone doesn’t disappoint at all. Given the fact that it’s being sold for less than $20, one would expect that it isn’t much more than a toy, but the sound is quite good and way better when compared to other headphones in this price range. It doesn’t have any sort of noise canceling feature, though, but the sound you get is rich and full so background noise remains where they should be – in the background. As this Sony MDR ZX100 review shows, this headphone has pretty good specifications and the feature set is superior to others in its class. The sound quality is crisp and clear and just right for people who enjoy listening to music or watching movies. While it’s designed mainly for listening to music, you can also wear this when playing video games. Regardless of what you use it for, the sounds from the headphone are very detailed and you can hear instruments, explosions and other sounds clearly. One of the more frequent complaints with low cost headphones is they become uncomfortable when used for extended periods. Not with this one though as it’s quite comfortable and your ears won’t feel sore even if it’s worn for a long time. When buying earphones, comfort is of utmost importance, and it’s covered here. Of course what it all comes down to is the sound, and this headphone doesn’t disappoint. When you put the headphone on you can hear the bass, vocals and instruments, and the difference from other headphones in its price range is instantly recognizable. Simply put you’ll hear a lot more, and it’s clearer too. The sound remains crisp even when set at a high volume and there’s very little hissing even if you turn the volume up. As mentioned earlier the headphone has weight but it isn’t heavy at all. As one reviewer noted, the earpieces fit snugly in your ears but it doesn’t feel intrusive. Once you put the earpiece on you can pretty much forget it. Again, you will hear some noise but it doesn’t distract from whatever you’re listening to. In terms of product comparison the ZX 100 looks like a simpler, scaled down version of the v150. The v150 has a longer cord but in terms of sound, bass and general audio quality this one will do fine. The bass isn’t as deep as other headphones, but there is a natural element to them. For the price there really isn’t a lot to complain about and works just fine. That said, the bass isn’t as pronounced when compared to other more expensive earphones. However that’s something to be expected and unless you are a purist it won’t make much of a difference. The other thing is that the cord is a little bit short. It doesn’t affect the headphone’s functionality but a longer cord would have been nice. Consumer ratings are very high for this headphone, as it has received more than 2,500 five star ratings and 1,300 four star ratings from one online retailer alone. As for specific feedback most of the reviewers have remarked that it’s a value buy and comparable to more expensive headphones. Many reviewers have compared this Sony headphone with others and more often than not it has held up well. 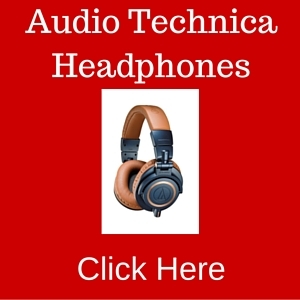 Based on the feedback, there’s general agreement that the headphone is a bargain. Another reviewer took note of the clear sound and that it’s suitable for movies and music. Even audiophiles and purists have given this headphone the thumbs up as the vocals and bass are very good. There are a few negative reviews here and there but for the most part the feedback from customers is positive. The headphone is available for around $20 (can be more or less depending on retailer and time of the year) , and online retailers usually offer free shipping too. Thanks to competition discounts are frequently offered, making this low cost headphone even cheaper. Is the Headphone Worth Buying?In a word, yes, the Sony headphones MDR-ZX100 is definitely worth it. There are a lot of cheap headphones available in the market, but most of them are flimsy plastic playthings that don’t last. Rather than buy a flimsy headphone, it makes more sense to buy this Sony headphone as it isn’t just cheap but popular and has decent sound. If you want a quality but affordable headphone, this is a good choice.